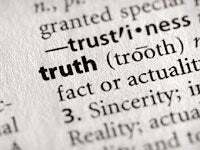 What is the Nature of Truth and is it Knowable? In the days we live, the defense for the knowability of truth and its absolute nature is crucial in the overall defense for the Christian faith. Deficient views, concerning the nature of truth, are a consequence from not differentiating between the nature of truth and tests for truth. The nature of truth can be understood from ‘what truth is not’ and ‘what truth is’. The correspondence view of truth is the only adequate view that defines truth. 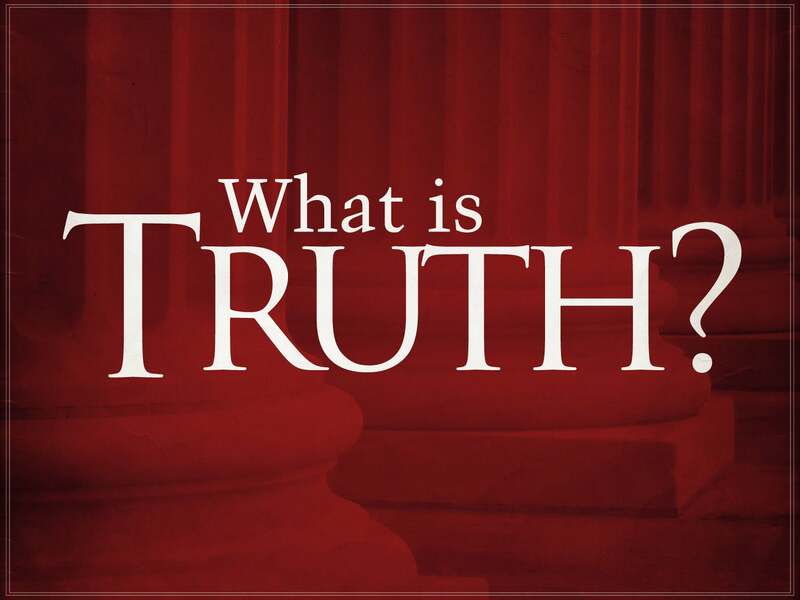 According to this view, truth ‘corresponds (is consistent with) to reality’; truth corresponds to its referent (what is being referred to); truth expresses accurately the way things are. 3) communication depends on the correspondence view. Many objections have been leveled against the correspondence view of truth, but none to any avail. Relativism, which claims that all truth is relative and not absolute, is self-defeating when its claims are evaluated. The relativist believes that relativism is true for all people, and anyone opposed is false. But they are claiming an absolute truth statement, ‘relativism is true for all’ and ‘any opposed are false’. By their own belief they prove that they are not a relativist, but an absolutist. They are absolutely sure that truth is relative. Or, they can claim that ‘it is only relatively true that relativism is true’, in which they would have to consider the relativity of their own relativism. This would also force contradictions to both be true, and their would be no right and wrong. In concluding, when all the objections against truth are answered, we find that truth is absolute, is not changing, narrow, and is dogmatic. 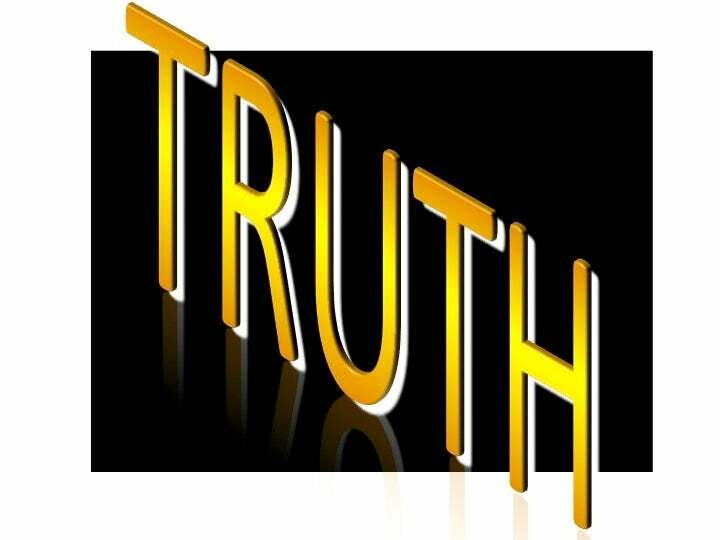 It is important to carefully define truth and its absolute nature because it affirms to the unbeliever that truth about reality can be known. If truth about reality can be known and is true for all people, in all places, and at all times, then the quest for truth becomes of eternal importance in the mind of the uninformed. Agnostic thinking, and those who laid down the philosophical basis for it, has heavily influenced much of western philosophy during the past one hundred fifty years. The writings of David Hume (Skeptic) influenced the writings of Immanuel Kant, the rationalist turned agnostic. And Kant’s writings have influenced many other thinkers, who in turn, have influenced university students whom eventually became public school teachers. The trickle-down effect of this false thinking is far reaching. The agnostic is one who claims not to know. Under this view are two types of agnosticism: 1) soft agnosticism, which claims God and reality is unknown, and 2) hard agnosticism (unlimited), which claims that God and reality is unknowable. Under the soft form of agnosticism, one can claim that God is partially unknowable because of human limitations, which is realistic because of our finite knowledge. On the other hand, hard agnosticism is self-defeating. The hard agnostic holds several views about reality that are self-defeating. Immanuel Kant claimed it is impossible to know reality, because we can only know things the way they are to us, but not the way they really are. We cannot know reality before our senses and our mind shape and mold it, so the way a thing really is cannot be known. We can only know that reality is there, but can never know what it is. This is the unbridgeable gulf between being (reality) and knowing (mind). Of course, this is self-defeating. One who knows something about reality cannot affirm that all of reality is unknowable. And if one knows nothing about reality, then there is no basis for making statements about reality. Concerning the unbridgeable gulf between being (reality) and knowing (mind) mentioned above, this also fails. If being (reality) and knowing (mind) do not correspond, then no statements about reality can be made, including the statement made by Kant. Kant also claimed that if we begin to trespass the unbridgeable gulf between being and knowing that contradictions result. He used as an example the contradiction of causality stating that if everything has a cause then an infinite regress of causes results. With this conclusion comes the impossibility of having an infinite regress of causes and also having a beginning. In response to Kant’s contradiction, it must be realized that Kant is mistaken in his view of everything needing a cause. Only limited, finite, changing, and dependant things need a cause. This brings us to an unlimited, infinite, unchanging, independent Being that has no need of a cause. Thus, Kant’s claim that causality is a contradiction is invalid. Kant’s arguments mentioned above are the foundational arguments in contending that God cannot be known. Agnostic thinking finds itself without the ability to logically explain itself or anything else for that matter. If agnosticism were true, we could know nothing about reality, thus leaving God as unknowable and the Bible as untrue because of its claims about God being knowable. A proper defense against agnosticism is necessary in order to establish orthodox Christianity as absolutely true.